Fryderyk Chopin (1810-1849) was a Polish composer and virtuoso pianist who lived out most of his brief but stellar career in Paris, where he died of tuberculosis at the age of 39. Chopin mixed with the musical elite of his day, developing friendships with top composers and performers, particularly with the Hungarian virtuoso and proto-Hessian, Franz Liszt. He was not keen on public performance, a fact reflected in the intimate atmosphere of his music. However, he was a very successful piano teacher, and managed to earn comfortable wages by giving lessons to the Parisian elite and their children. His health was always bad, and his short life was troubled, but it was also intensely productive, and his body of work remains some of the most emotionally compelling and technically demanding music of the Western classical canon. Though Chopin’s technical ability and fluency in classicist forms is undeniable, the most enduring element of his work is the profound musical intuition from which its construction seems to arise. Perfectly capable as he is of constructing a fine piece within traditional forms, his best work seems to occur when he listens closely to his own material, and allows it to naturalistically develop and suggest its own structure. Chopin wrote most of his works for his own instrument, the piano, intending them for performance mostly by himself, usually in front of a few friends. The organic origin of these works shows in their fluid structure and their patient development; the changes that come at exactly the time where they will make the most emotional impact, not necessarily where they would theoretically make the most structural sense or be most immediately pleasing. This characteristic brings him close to underground metal, music in which there is both no divide between composer and performer and, ideally, little concern for audience expectations, but where emphasis is instead placed on genuine, valuable and intense expression. A great example of Chopin’s emotional intensity, technical ability and structural ingenuity is his second piano sonata, in b flat minor. Although most of the piece’s movements are written broadly within conventional forms, the first being the expected sonata form and the next two being large ternary forms, Chopin manages to create the sensation that this large scale architecture arose naturally from the material, instead of being imposed on it. We often find in the work of Romantic composers, even in the some of Chopin’s lesser works, a conscious attempt to hide underlying classical forms through over-extended or jarring transitional passages. This sonata has no need for such tricks: the thematic material and the relationships between it are so strong that the flow is seamless throughout. The material itself is of a mostly lyrical and impassioned nature, the axis for most of the themes being melodic. It is thus that the howling arpeggios of the fourth movement come as an intense shock, especially after the famous “Funeral March” of the third movement (which Candlemass covered on Nightfall). Even more rattling is the movement’s swift and violent conclusion. Though seemingly pointless, placing this little movement here is a stroke of narrative genius; it lets the listener know the piece is irrevocably over, and yet it feels unsatisfactory, it leaves one with a melancholy longing. The technique is similar, although the effect is altogether different, to the one used in Burzum Det som en gang var, also a piece organized in four main sections, whose last riff comes rather unexpectedly and then simply fades off into the distance. There is another very important element that links Chopin’s music to underground metal: his great ability to be impressively creative within self-imposed limitations. The most evident of these restrictions is of course instrumental, as he chose to write most of his music for the solo piano. Obtaining strong results from a limited instrumental palette is of course a very familiar concept to a fan of underground metal. His spectacular waltzes and mazurkas also show him extending a limited rhythmic format to powerful expressive and structural heights, without ever abandoning it entirely. It is in these smaller pieces that Chopin’s tendency to generate structure from content is at its most alive. A piece with seemingly unexceptional or bland material, such as the Prelude No.4 in E minor, is turned by clever and patient development into a masterpiece, whose economic simplicity only serves to emphasize the power of each event, however minor it may seem. The piece revolves around the thwarting of tonal expectations, a simple enough technique out of which Chopin carves a funereal dirge of both enormous emotional impact and absolute structural perfection. Chopin transforms formal and instrumental restrictions into challenges, forcing himself to find creative avenues around structural problems. This may be one explanation behind why practically all of Chopin’s best pieces are driven by strong melodies; he leaves himself no place to hide. The Nocturnes are the obvious place to start with the music of Chopin, and for good reason. My personal recommendation would be Claudio Arrau’s 1978 set. Though not all the Preludes are equally good, the whole set is definitely worth a listen, and Martha Argerich’s 1977 DG recording is one of the finest options out there, and it also contains a marvelous rendition of the second Piano Sonata. Also of note are Dinu Lipatti’s disc of Waltzes for EMI and Krystian Zimmerman’s 1988 DG disc of Ballades and miscellanea. Outside the world of solo piano Chopin shines less, even his piano concertos suffer from a poor understanding of the orchestra. This can only serve as further proof that Chopin’s genius lay in his musical intuition, through which he allowed pieces to develop themselves organically in order to reach greater heights of expression, as opposed to merely accommodating themselves to an abstract formal plan. The kinship between Chopin’s fiercely expressive, instrumentally virtuosic and structurally organic style with underground metal is a clear one, and all Hessians are strongly advised to acquaint themselves with the Polish master. 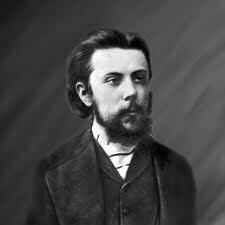 The Death Melodies Series (DMS) continues with Russian Romanticist composer Modest Petrovich Mussorgsky. Mussorgsky was birthed into a wealthy aristocratic family in Russia. 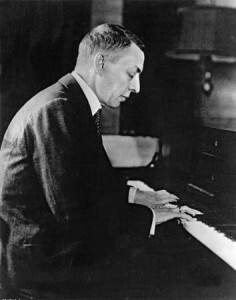 He brought ingenuity to the Romantic Period, but he was also an innovator by bringing many Russian nationalist themes and folklore into his compositions. Many of his years were spent as a civil servant, and he had numerous hurdles that hindered many aspects of his life. Some of his works were never finished (presumably due to alcoholism) and many people disregarded Mussorgsky. Others claimed that he had fits of madness before he died. Aside from his self-destructive nature, Mussorgsky executed some very remarkable works. His Pictures at an Exhibition suite is still prominent today in the classical music scene and it’s been transposed to many renditions on various instruments. One of his most popular pieces, Night on Bald Mountain, has been utilized from Disney’s Fantasia to Marduk’s Glorification of the Black God. Mussorgsky died right after he turned 42. 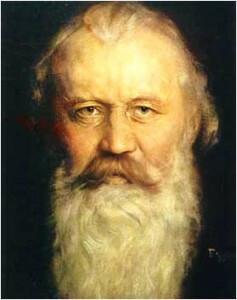 Though he lived a short life, his innovative Russian flare established himself to become one of the leading figures for later Russian composers to draw influences from. Shostakovich likely gesticulated the most inspiration from Mussorgsky’s works in his late symphonies. Mussorgsky left numerous works unfinished due to his decline in health and alcoholism. Shostakovich took it upon himself to revise some of the incomplete works. Sergei Prokofiev was also influenced by Mussorgsky in some of his operas. The Death Melodies Series (DMS) continues with composer Gustav Mahler. I was recently invited to my local symphony to see Mahler’s third symphony. The first movement crept dismally slow; almost like a worm being poked with a stick and curling in its own demise. It was the best movement of the entire symphony and it brought a sense of dread that wasn’t extended upon in the later movements. The whole show was about eighty minutes and it was literally all over the place. There was a children’s choir in it which made the masculine first movement rather irrelevant. With no intermission for me to gather my thoughts or drain my bladder, I sat in my seat and experienced the entire symphony without interference. Mahler was a late Romantic composer, but some would consider him as a Modernist. I believe that he’s in league with Liszt in the sense that he branches both in the Romantic and Modernist periods (Liszt’s Totentanz is a good example of both Romanticist and Modernist). Being that Mahler was inspired by Richard Wagner, it gets a bit muddy classifying him as a Romantic composer. Much of Mahler’s life was spent conducting, so he wasn’t as prolific as Beethoven or other composers were, though he spent many summers composing. Tragedy wasn’t far from Mahler’s life. One of his two daughters died while she was still young and he himself had a defective heart. 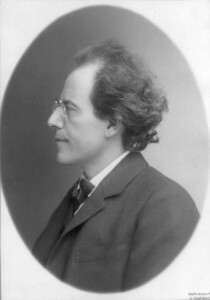 Mahler also faced prejudice for being an Austrian Jew, but it didn’t hinder his successes. I picked these two pieces to coincide with the Death Melodies Series’ goal of sharing classical music that metalheads might enjoy. The Death Melodies Series (DMS) continues with modernist Richard Wagner. 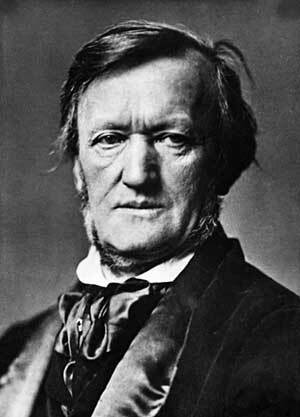 Born in Germany during 1813, Wagner composed his first opera The Fairies when he was 20. He wrote many operas and had successes as a composer and conductor. However, political controversy hindered many aspects of his life. Wagner was discontent during the industrialization of Europe. Mankind’s lust for advancing technology left many areas poverty-stricken. He became a Socialist in hopes that a revolution would rectify the issues in Germany. Wagner had a small role in the May Uprising in Dresden which proved unsuccessful. He fled to Paris, then relocated to Switzerland for eleven years. While in political exile, Wagner desired to resurrect the Norse spirit of ancient Europe. He’s best known for the monumental work Der Ring des Nibelungen, which is the most ambitious undertaking by any one person in European music. The Ring Cycle took Wagner over 25 years to accomplish, as well as having a playing time of 15 hours. Wagner delved into many different Scandinavian sources and fashioned a grandiose medieval drama. Dwarves, Valkyries, heroes and monsters all had roles in the operas. He wanted his work to help strengthen political principles, but he also managed to craft some of the most stunning works in classical music. In 1840, Wagner started composing his Faust symphony which was inspired by Johann Wolfgang von Goethe’s play Faust. The symphony was never completed and it was instead turned into a single-movement concert overture. The Death Melodies Series (DMS) continues with the modernist composer Dmitri Shostakovich. 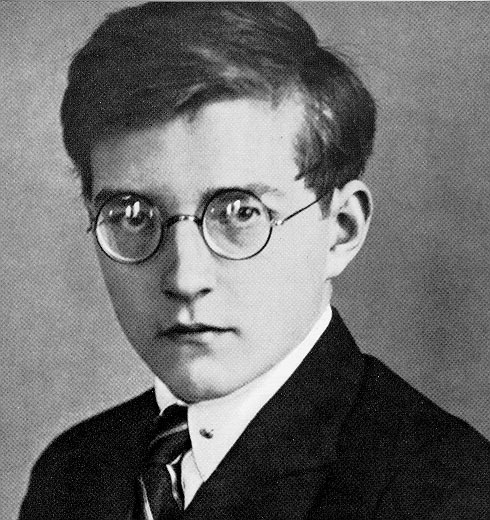 At the age of nine it became apparent that Shostakovich was a child prodigy on piano. He was also impassioned for composition. 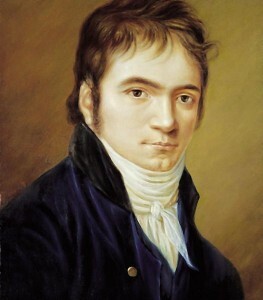 His first major musical achievement was his first symphony when he was nineteen. He had successes and failures in the Soviet Union. In 1936, Stalin attended a premiere of Shostakovich’s opera Lady Macbeth and was noted that he laughed at the performance. Soon after, critics insulted Shostakovich to the point that his commissions were substantially decreased and he became poor. Shostakovich had a rather saddening life. During the Great Purge in the late 1930’s, many of the composer’s relatives and friends perished. In 1960, Shostakovich decided to join the Communist Party to become the General Secretary of the Composer’s Union. 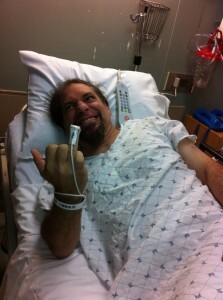 However, his health started to decline soon after. He was diagnosed with polio and encountered many falls that crippled him. Shostakovich was keen to excessively drinking vodka and smoking cigarettes, which led to his death. In 1975 he died of lung cancer. I decided to share Shostakovich’s first violin concerto. It was written when there were severe censorships and hostilities from the Russian government. Shostakovich didn’t publish this concerto until after Stalin’s death. The Death Metal Underground (DMU) is proud to present the Death Melodies Series (DMS). The primary function of the DMS is to expose metalheads to Classical Music that they might enjoy. If it’s Baroque, don’t fix it. Our first in the Death Melodies Series will feature some Baroque pieces. The Baroque Period followed after the Renaissance Period and was roughly from the beginning of the 1600’s to mid 1700’s. The emphasis on tonal harmony was established during this time. 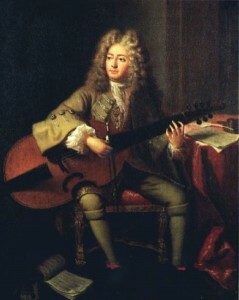 Opera was also introduced amid the Baroque term. This article will focus on Bach, which is one of the most prolific Classical composers that ever lived. 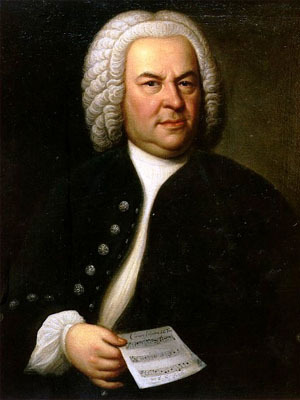 Bach gradually became blind as he aged, however his disability didn’t stop him from composing. Other noteworthy composers of this era were Handel, Scarlatti (x2), and Vivaldi. Nevertheless, the DMS will be showcasing more of the dark, ominous, and powerful pieces. Bach’s most assaulting weapon was the organ, though he also played and wrote pieces for violin, viola, and harpsichord.